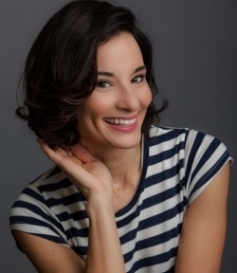 Access Improv is owned and operated by actress and comedian Alison Becker. Alison began studying and performing improv comedy over 20 years ago. She has performed and trained at ImprovOlympic and the Upright Citizens Brigade Theatre, where she has been on three different house improv teams. On camera, she has improvised on television shows such as "The League," "Curb Your Enthusiasm," "Boiling Points," and many more. Alison is best known for playing Shauna Malwae-Tweep, the longest running guest star on NBC's "Parks and Recreation." She is a member of the high IQ society, Mensa, and she is a great teacher - funny, patient and kind. Read more about her here. Jill Donnelly has been a teacher at Access Improv since its inception. She has been performing and teaching improv at the Upright Citizens Brigade Theatre since 2007. Jill has also created corporate and professional improv workshops for multiple corporations and graduate programs. She loves working with teams on innovation strategies and team-driven idea development. People who have taken Jill's workshop love her infectious enthusiasm and sincere engagement. On television, Jill was most recently seen in "Arrested Development," "Hello Ladies," "New Girl," "Curb Your Enthusiasm," "VEEP" and "The Comeback." In her other life, Jill works in health policy in California's Medicaid program. She has a B.A. from Oberlin College and an M.P.H. in Health Policy from UCLA. Scott Beehner is a former Main Company Member of the Groundlings Theatre and a current teacher at the Groundlings School. He has appeared on television shows including “Dice,” “Angie Tribeca,” “Modern Family,” “Workaholics,” “The Office,” “It’s Always Sunny in Philadelphia,” “Curb Your Enthusiasm,” “Casual,” and many others. Scott has performed and taught several corporate improv events over the years designed to improve personal communication skills and encourage creative problem-solving. He also worked for several years for Aon Consulting’s Human Capital Organization, which provided Training and Development Services for Fortune 500 companies. Scott has a BA from Fordham University at Lincoln Center in New York City and an MFA from New School University. He is originally from Omaha, Nebraska. Corey is an actor and teaching artist with his MFA from the University of Southern California. He is on faculty at the New York Film Academy where he works with students on finding authenticity in their physical and vocal communication. Corey has been training and performing at the Upright Citizens Brigade since 2006, where he was on three house sketch and improv teams, and has worked as an actor in theaters throughout the country as well as internationally.